After 11 years of service I finally decided to retire my old Philips 29″ CRT TV. I was looking for an LCD or LED TV and since it was just going to be used by my kids to watch cartoons and the maids to watch their telenovelas. I just wanted a cheap one. The cheapest “brand name” LCD TV I found was a Sanyo for about 19k. 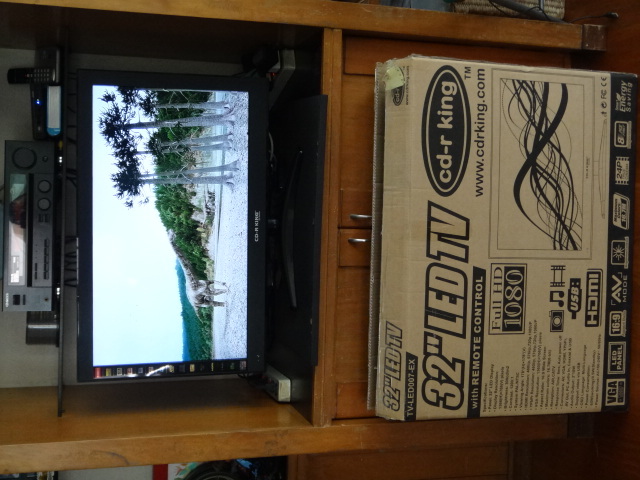 I remembered that CD-R KING had an LCD tv so when I went there I was amazed that the 32″ LCD TV was 11.5K and the LED TV was 12.5k. For a 1k difference, I’m sure you would choose the LED, too. I figured I’ll take the risk and buy it. My old Philips cost 29k and took 2 people to lift the box. This LED TV was about 55% cheaper and I carried it out with one hand. Spec wise, some highlights that stood out were the 3 HDMI ports, Full HD 1080p and, a USB port for photos and videos (more on this later). 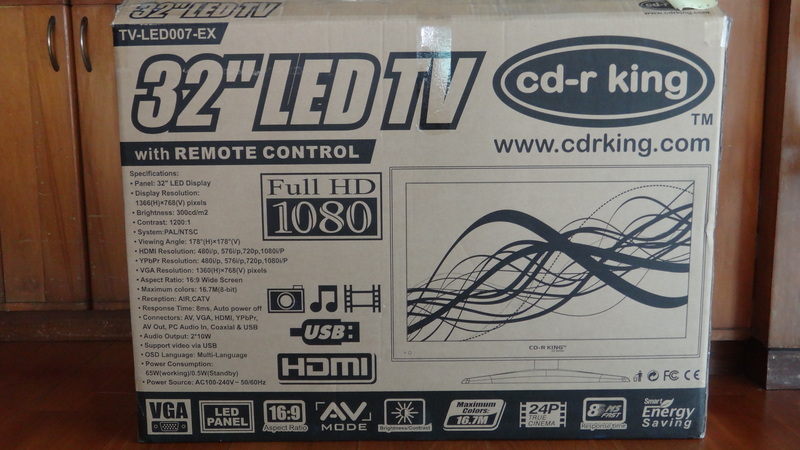 Sometimes buying from CD-R King can be hit or miss, so spending this much money can be quite a risk especially when the box says in big letters “with REMOTE CONTROL”. Gee, I thought to myself, “it better have a remote coz I can’t remember when was the last time a TV was sold without one”. 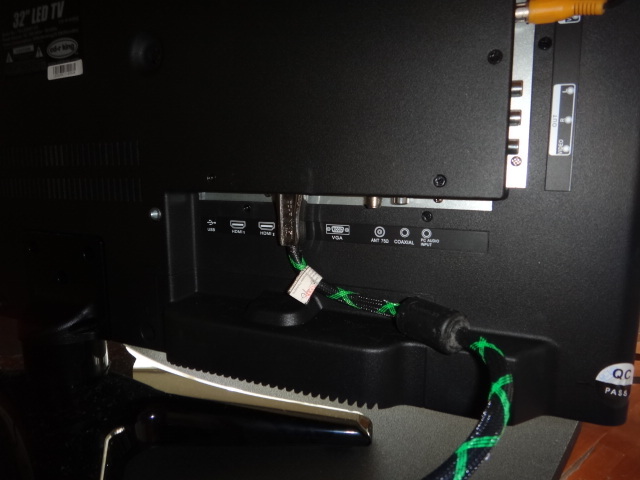 Anyway, after the unboxing and setup I already encountered a design flaw with the position of the ports, (as you can see from the photos) there is a ledge that hinders easy access to the ports. Still not a deal breaker. Playing a 1080p video from my media player video quality was quite good. Admittedly, a Samsung LED TV still has deeper blacks and richer color, but again for the price and intended use…not bad. Full specs are on the box! Some ports are not easy to access! If you are wondering, since it has a USB port, can it be used as a media player? Well, the answer is, “sort of”. It recognized my 500GB external powered HDD and was able to play jpeg, avi and wmv files with out any problems. But it will not recognize mkv files. So you will still need a media player if you want HD video. As for the sound quality, well lets just say… it’s terrible. I’m guessing the small speakers just don’t have enough power and base to produce decent sound. To be fair, most flat screen TVs are ment to be connected to a home theater or sound bar (which by the way they also sell at CD-R King). Media player does preview but no MKV files for you! Note: A reader was right to point out that the resolution is only 1366x768 which means it is only 720p not 1080. I can't believe I overlooked this. It will accept 1080 but will resize it to a lower resolution. I wish manufacturers would stop putting 1080HD to avoid misleading consumers. I like this review! Please post updates on this, if there are problems or glitches. Like you said, only time will tell and I'm interested to see how long this will last you or how good service will be. Thanks for the response Zap! Thanks for the review. It seems there is a lot of CDR King hate going around the web whenever I ask about CDR-king TV. Anyway, I was thinking of getting a couple of these TVs strictly for PS3/Xbox gaming. Do your kids play console games on them? I was wondering if they have a "security slot" like the ones on laptops where you can connect a security cable. It will be useful as a display on a store to showcase a product. As far as I know the 22-23 inch TVs have one but I'm not sure of the 32inch. My software va nang LED010 EX? I bought mine last june 14 only. cdr king 32" LED TV vr series for P10,990(tv-led013-vr. fyi, yun video file na matroska or mkv, na try ko po, na problem naman nag play sya via usb slot. Sound quality po tlaga, terrible,kailangan tlaga ng home theather system or any external subwof speakers lalo na sa mahilig sa music.Na try ko na rin po connectivity ng vga & pc audio in slot sa likod ok naman with desktop and lalo na sa netbook, hassle lng yun mga cable wire connectors pero sa mga mahina mata, at least biglang lumaki yun screen mo. yun accessibility ng slots sa likod ng tv mahirap tlaga unless wall mounted & na ti tilt yun bracket mo. Nice! It looks like na bago na models of some of their TVs, cheaper also. I went to the store the other day and slightly different yung design. Maybe new software also? 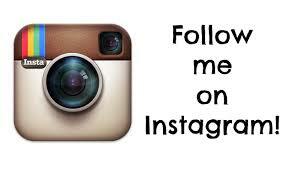 Please follow me on twitter. my CDR-KING 16 inch LED TV TV-LED010-EX(LE-1530), can play mkv files. natry ko na sya sa 500GB portable harddisk can play mkv, avi﻿ video files etc, worth it for the price of P3880, at di sya mainit kahit gaano katagal ang gamit. Good for you! I have a feeling they have new models of LED TVs. I went to the store the other day and they have a slightly different design from the previous ones. Please follow me on twitter. san po branch ng cd-r king kayo bumili ng led tv? Or lahat po ba ng branch nila merong available ng ganyang product? thank you. This is a great tool in purchase decisions. Thanks! is it still working fine? Hi, do you have any idea where to find firmware update for this led tv??? Just want to share, good buy for me also for the 32" LED TV from CDR-King last November 2012, nakakailang byahe na rin itong unit ko and so far no signs of defects. For the video quality you can adjust the sliders to suit your viewing pleasure but for the sound quality isabay mo na rin sigurado pagbili nang sub woofers. Looking forward na mag release sila nang update supporting MKV playback. Handle is taga-balot and according to him most of the components inside the CD-R King 32 inch LED TV are Samsung. So maybe its good tv. hi techamuna, how's the led tv faring so far? Thanks. CDR King just might be under-rated because it is an unknown brand.. My LG crt that I bought in 1997 lasted at least 12 years before it needed some minor repairs. The picture just shrunk and needs to be retired I guess. So be looking for a replacement soon. hi techmuna.. ask lang po mgafriend if mabilis ba uminit ang led tv ng cd-r king? kasi bumili ako ng isa 40" kas o ang bilis uminit.. sgro mga 30 mins plang ang init na ng likod nia.. ganun po ba un? i have a 40" led tv and it getting hot even its open for 30 mins only.. is this normal with this kind of tv? I think all TVs get hot, just a matter if abnormally hot, my 32" gets a little warm after a few hours of use but not hot enough to get worried about. If its still under warranty bring it back to have it checked just to be sure. Did someone find software update??? i wonder if CD-R King is an okay brand for gaming anyways i just need a 22inch anyways Thanks by the way is your CD-R King Led still alive? Hi! Yes my TV still working. I would suggest you get a TV with warranty. Even if CD-R King is not a major brand at least it comes with warranty. My CDR-KING 16 inch LED TV TV-LED010-EX(LE-1530) is a alive and kicking used as TV/Movie Player and Monitor for Desktop PC. Hey Zap! A year ago, I asked you how your 32" LED TV was doing because I was planning on buying my own. 3 days after, I decided to buy one from CD-R King. It has been more than a year now and my TV is doing very well :) hehe. My 2 year old 19" is also working perfectly. Hi Mike! I'm glad to hear your TV is still working. Funny you should should mention this because a few days ago I noticed a thin red line on my LED TV. It started out showing up only when the unit would get hot but now it's a more permanent decoration on my screen. Since it's out of warranty not sure what it will cost me but I still plan to bring it back to CD-R king one of these days...wish me luck! I'm planning to buy a 32" led tv and I'm considering cdrking. How's it going with the red line? Funny you should mention it but the red line vanished. I hope it never comes back. Prices of LED TVs have really gone done, try comparing the prices with major brands. 32" LED price just shrunk again to 8,800. So to make it short it is a good buy but if you want a great tv buy a branded one right? Cuz i will buy a 32" soon. Is there any problem with the resolution?is it really full hd? Hi Ben! This review was done almost 2 years ago and at the time there were no branded LED TV that came close to its price. Today however I'm not sure, with that said it still works 2 years later. This model is not full HD only 720p. After checking CD-R King website they sell 2 models of 32" LED TVs one is 720p and the other full HD strangely for the same price of P8800 (pls. double check at the store). I would still shop around and check other brands, if there is only a slight price difference I would buy one with good customer support and warranty. Good luck! Hi JY! Yes it's still working. But a few months ago a red vertical line came on. It lasted a few weeks then miraculously disappeared. So far so good. Yes still working! Use it everyday. Please check out my SKK Glimpse 3G review and get a chance to win it. Still working pa po ba ung TV niyo idol? im planning to buy 32" kasi. Di po ba ako magsisi? Wala pa po ba kayong ginawang repairs mula nung binili niyo yung TV? Yes, still working. Prices of LED TVs have gone down so you might want to look at branded ones as well. Good read, Sir! How is your TV? Have you encountered any issues with it so far? I am planning to buy their 42inch LED, just trying to gauge the reliability of their TVs. ANY UPDATE ON CDRKING TV SOFTWARE? HOW CAN WE UPDATE THE SOFTWARE.. IT DOESNT READ MOVIE FILE FROM OUR EXTERNAL HARD DRIVE... PLEASE HELP.. THANKS.. I asked CDRKing about software updates last year and "wala" daw. I guess you just have to upgrade to newer model. please .. i cordially like your help.. thank you.. I'm glad your TV is still working. Sorry I can't help you anymore, after 3 years my TV finally gave in...RIP CDRKing TV. Try going to a CDRking branch and ask the in store tech person. Hi nasira na led 40" ko aftr 2.5 years... Black screen may audio naman.... Gumagawa ba cdr nito? Yes you bring it to CRDKing for repairs pero matagal daw. Any TV repair shop can fix it. Good luck! sir techamuna, bago na yun brand sa cdr king na tv, its stark. Same component kaya nito yun before? mura e. can yopu do a review on stark tv? thanks sir!